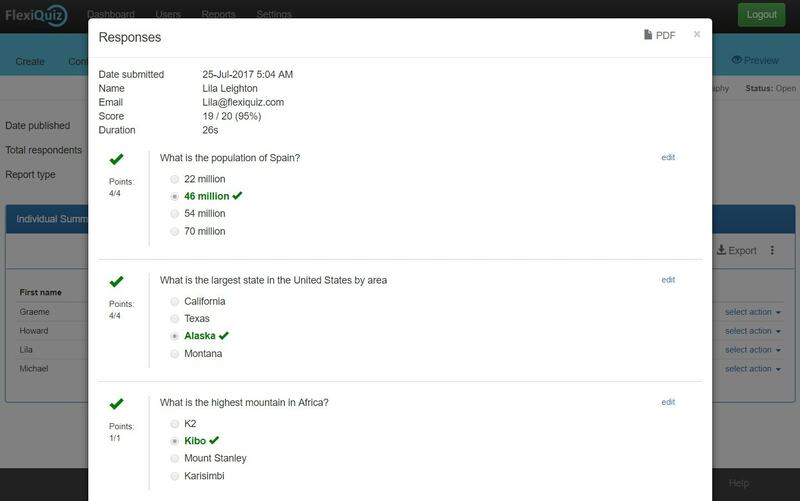 FlexiQuiz provides the functionality to fully manually mark or override any grades which have been automatically assigned. 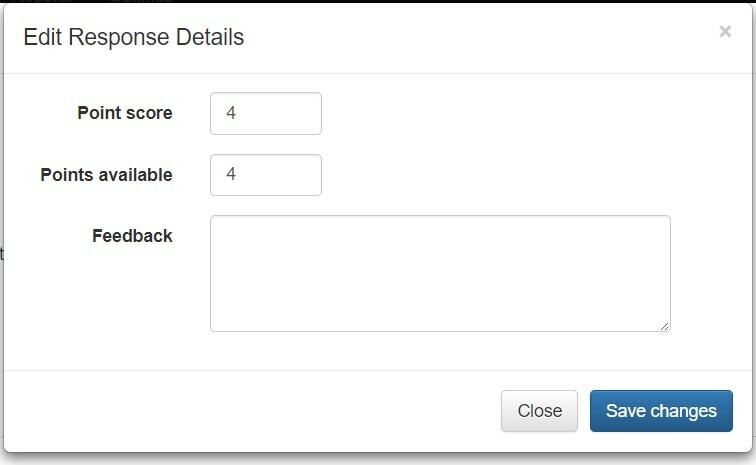 view: displays all responses and answers, select this to mark individual answers. If you select the view option from the select action menu then a popup will be displayed containing the respondents answers.The responses would have been automatically marked by FlexiQuiz but you change the mark by pressing the edit button next to the response. A further popup window will then be shown where you can set the points scored, available points and provide any feedback. Note: as you mark each response FlexiQuiz will recalculate the overall score based on the achieved points vs the available points. 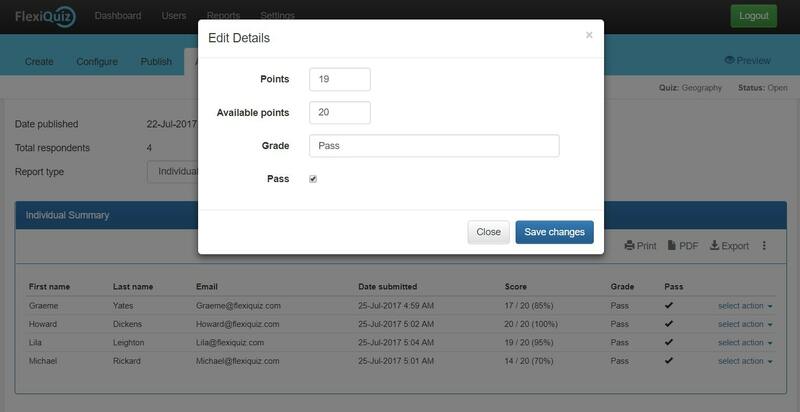 The values set on the Grades screen will be used to set the final grade. If you select the edit option from the select action menu then a popup will be displayed where you set a score for the entire test.